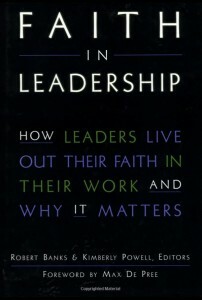 Leadership based on faith in God makes for good works, fulfilled workers, and healthy organizations. In this important guide, respected leaders from diverse organizations show how faithfulness and leadership can not only comfortably coincide but successfully combine. They offer real-world examples of how authentic faithfulness supports an organization’s mission, informs core leadership values, provides wisdom for thriving in a chaotic environment, teaches us to share power, and moves us to mentor the next generation of faithful leaders. 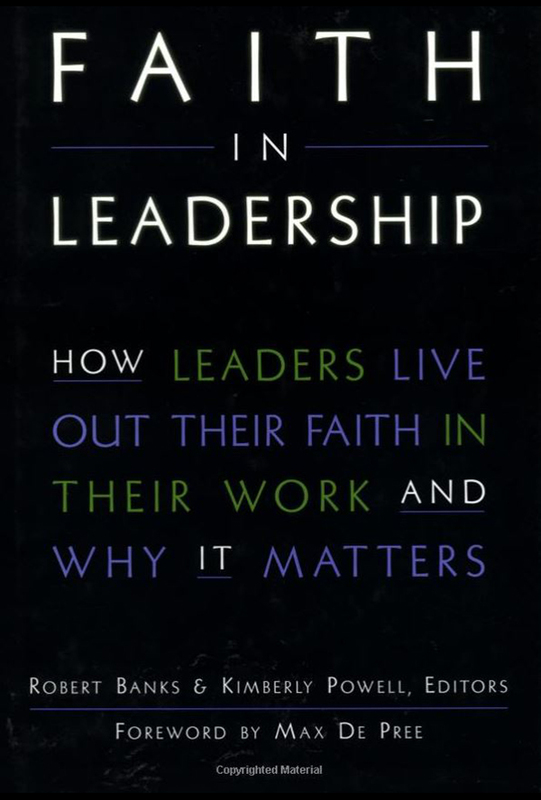 Leaders looking for wisdom on how to live out their faith at work will find Faith in Leadership a pragmatic and inspiring guide. Ken Dryden decided to find out what really goes on at school. From September 1993 until June 1994, he attended high school, as inconspicuously as possible, and took notes. 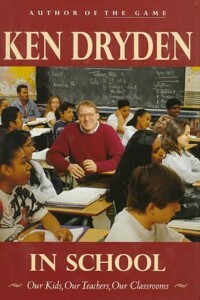 The result is a documentary about the life of a typical Canadian school. 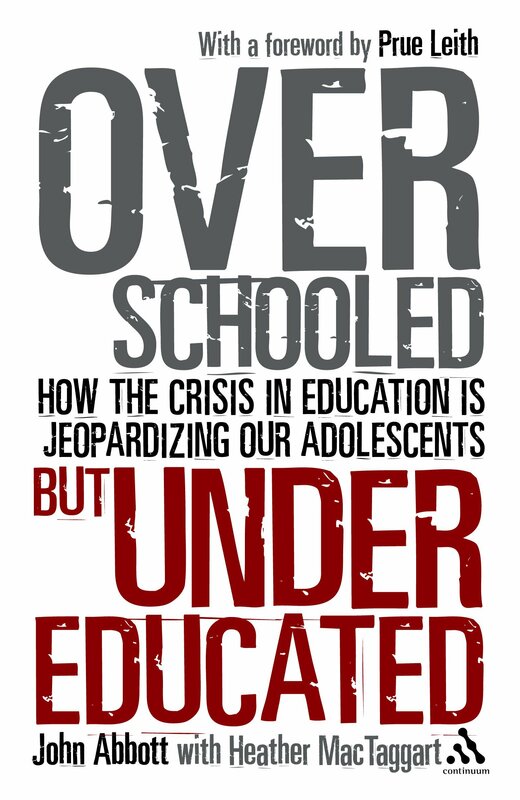 In this intimate look at the way a school really works, he tackles what he sees as the education debate’s retreat to a safe, unthinking – and ultimately useless – black and white ground of issues and policies at the expense of people. Ultimately he discovers that good teachers teach people not just subjects. As gripping as a fine novel, In School is an exciting achievement – a thought-provoking look at our schools and our society, and at how we can make them better. 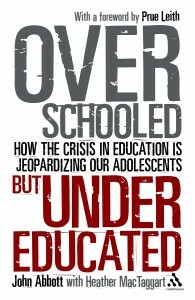 By misunderstanding teenagers’ instinctive need to do things for themselves, is society creating a system of schooling that so goes against the natural grain of the adolescent brain, that formal education ends up trivializing the very young people it claims to be supporting? By failing to keep up with appropriate research in the biological and social sciences, current educational systems continue to treat adolescence as a problem rather than an opportunity. In this book, John Abbott examines the increasing need to revolutionize the education system in England and globally. It’s simple: education has to be about preparing children to be good citizens, not merely successful pupils, and become adults who will thrive at unstructured tasks. In this lies society’s and the planet’s best assurance of a positive future.